One of America’s greatest natural wonders is the Grand Canyon in Arizona. This dazzling canyon plunging 5000 feet deep is almost impossible to grasp. It is one of the few landmarks visible from space. Standing on the edge offers vistas stretching as far as you can see. Meadows, forests, desert, the Grand Canyon has it all. A visit to the Grand Canyon is on most people’s bucket lists for good reason. For those growing up in America, it is the quintessential summer family holiday. The best time to visit the Grand Canyon is March – May and September – November, not the middle of the summer. Summer is when hordes of tourists descend, lodging is maxed out and temperatures in the desert soar. However, when you have school aged children, this is often your only opportunity to visit. Does that mean you shouldn’t go? No way! The Grand Canyon is worth a visit in all seasons and regardless of the cold, heat or crowds. It is uplifting, fascinating and worth every second you devote to staring into the crater grappling with how this really came to exist. For summer visitors, the National Park Service recommends staying out of the sun in the hottest part of the day, approximately from 10 am to 4 pm. What!? How can you visit the Grand Canyon (especially with kids in tow) and not be outside for the bulk of the day? Severe heat restrictions mean much less hiking than you might have planned. But, you are in luck. The Grand Canyon (South Rim) offers an abundance of activities without the need to sacrifice your visit even in extreme heat. Your first stop at the Grand Canyon should be the main Visitor Center. This is a great place to get your bearings, but it’s also one of the best places to spend time during the height of the day’s heat. Enjoy the cool air conditioning while watching the short 20 minute film Grand Canyon: A Journey of Wonder. The film shows on the hour and half hour all day. This is a great introduction to the canyon and it’s history, extraordinary views of the Colorado River and information on the unique wildlife that lives in and around the canyon. Spend time walking around the visitor center exploring the interactive displays. On one end of the center, is a great video presentation over a globe in the center of the room. At the least it’s a place to rest your feet and soak up the cool air. While at the visitor center complex check out the gift shop and have some snacks before moving on. From the Visitor Center, you can start walking the Rim Trail (a great place for sunrise and sunset!) or grab a shuttle bus to go explore the park. The 14 mile Hermit Road shuttle bus tour (summer only) is a fantastic way to beat the heat, while still enjoying views of the Grand Canyon. Depending on what time you begin your journey, and the temperature, you can split up the journey between riding and walking. You can get off at every stop if you really want to see it all or take the bus for a few stops, walking between short stops to take in a bit more scenery and then hitch a ride again further down. Some great stops to check out are Powell Point to Hopi Point, Pima Point & the breathtaking Abyss. The bus takes approximately 80-90 minutes return (to reach Hermit’s Rest and back to Village Transfer Point). This is without getting off the bus at all. If you get off at a few stops along the way and spend some time at Hermits Rest, expect this tour to take a good portion of your day. Bring plenty of water and food. You cannot eat (or drink open containers) on the bus, but you will need the refueling along the way. There is a small snack shack at Hermits Rest, but options are quite limited and lines can be long. Restrooms are located only at Hopi Point and Hermits Rest. Also note that cell phones do not work for almost the entire portion of the drive/trail. Tip: If you are doing the bus tour late in the afternoon, stick around for sunset. Get off at any view point and walk the Rim Trail to a spot away from the crowds. This small museum is a great place to enjoy some cool air on a hot day. Spectacular views over the canyon with informative displays explaining the geology of the park will keep everyone entertained for a while. The small, but well stocked gift shop is also a hit with the kids. A great purchase here are the “Color your own postcards” with different animals and scenes of the Grand Canyon. This makes for a great afternoon activity to wait out the heat of the day. Stake out a spot for a spectacular sunset from the view points around the Yavapai Geology Museum. Need a cool down? Head over to Bright Angel Fountain (backside of the Lodge) for hand packed ice cream. Eat quickly – it melts fast in the heat! After you have had your ice cream, spend some time exploring the areas (Photo above is from Mary Colter’s Lookout Studio) and views around here, popping inside as the heat becomes unbearable. The Historic District is a great place to spend a hot afternoon. Check out the amazing views from Mary Colter’s Lookout Studio, walk around the train depot, visit the Kolb Studio and the Verkamps Visitor center for more information on this area. If you haven’t already, pick up (or drop off) your Junior Park Ranger booklet to earn your Grand Canyon badge. If you need to be outdoors and want to stretch your legs, head out on the paved Greenway Trail to Market Plaza. The trail is mostly shady and will provide you and the kids much needed outdoors time. If you happen to be walking in the late afternoon or early evening, keep your eyes peeled for elk and mule deer. The trail parallels the road, when you get tired of walking, head back to the road to catch a shuttle bus. This trail is also great for a bicycle or scooter ride. If you are heading out of the park from the east entrance and looking for things to fill your day, take in some view points along the Desert View Drive on the way out. The last stop, Desert View Watch Tower has snacks, restrooms and areas to explore. 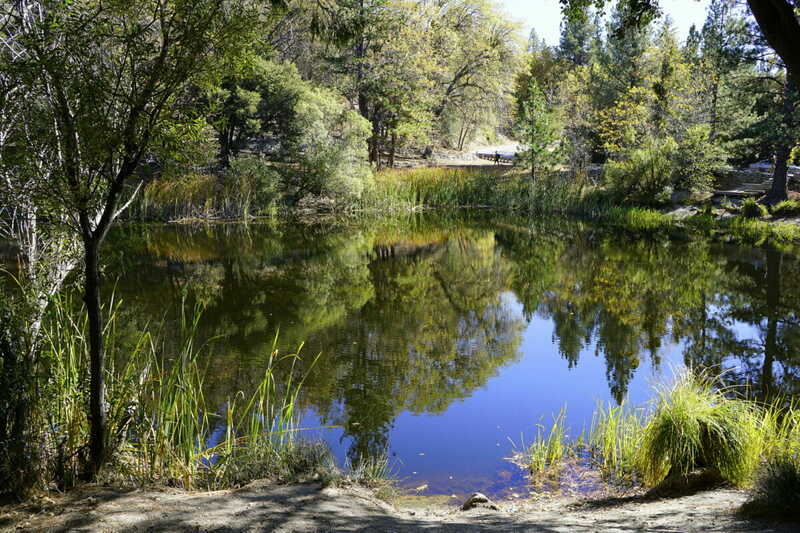 Some of the favorite stop off points are Grandview, Moran Point and Desert Tower at the end. Even in extremely hot weather, you can still get a lot out of a visit to the Grand Canyon, but precautions should be made to protect yourself. Avoid hiking from 10 a.m. – 4 p.m. Instead hike at dawn or dusk, preferably dawn as the canyon is still very warm at dusk after a day of high temperatures. Drink plenty of water, avoiding caffeinated beverages. Don’t wait until you are thirsty to begin drinking water. You are already dehydrated by that point. Feeling moody or lethargic? You are probably dehydrated. Eat salty snacks throughout the day. Your body looses a lot of salt in the heat that needs to be replaced. Carry electrolyte powder to supplement your loss of vital salts. Carry a spray bottle to mist yourself while walking or hiking. Find shade and take frequent breaks in high temperatures. Wear a hat and apply sunscreen often. Tip: Fill your water bottle with ice that will melt as the day goes on. This also works with Camelbak water backpacks. Have you visited the Grand Canyon in the summer? How hot did it get for you? Any other tips for beating the heat? This post is part of #WeekendWanderlust, #TheWeeklyPostcard and #FridayPostcards. The Grand Canyon is definitely on my bucket list! This looks incredible! It really was breath taking! Somewhere I’d like to visit too! How hot exactly does it get during the day in summer? Growing up in Western Australia, I’ve dealt with some pretty high temperatures, but I’d imagine it’s even more extreme at the Grand Canyon? When we visited a few weeks ago it was around 109F every day! Great recommendations! I think you should be ok if you avoid the direct sun during the hottest part of the day. There is a big different between standing in the sun or in a shady area. Also, since during summer the days are long, you can still hike and sighsee from 4:00 p.m to about 8:00 p.m. Yes the shade is great… If you can find it! Its true, if you are in the shade it’s not as bad since it’s typically a dry heat. Unfortunately, there is almost no shade on any of the hikes, but doing the bus tour was great since you could cool off when you started to get too hot. As the sun starts to drop it starts to cool, but we found that well into the evening it was still in the upper 90s! When we visited it was 109F every day and only cooled at night into the high 70s. Im not a fan of the heat, but we still had an awesome time and saw so much! How very spectacular and yes I can imagine how very hot. I agree as in Australia the best times to do any hiking are in early morning and later in the day. Water, water, water. Yep, water is essential. I always carried about a 2-4 liters on me! Great tips! I visited the Grand Canyon 10 years ago and would love to go again! Beautiful photos. Beautiful photos! I hope I will have the chance to visit this amazing place some day. Thanks for stopping by! Apparently making sure you eat enough salt is almost as important as drinking lots of water. My son now always says “its hot out. can i have some salty snacks?”! I would love to see the Grand Canyon, certainly when it is a little cooler. I love the dry heat better so I can deal with it and some good ole sunblock and water. The photos are amazing! When I go to the Grand Canyon, I will definitely go to some of the places you mentioned, and I’ll make sure to follow your tips! Not too sure about how hot it gets there, but it doesn’t seem all that much. However these are definitely good tips to beat the heat. I’d love to visit the Grand Canyon someday, hot or not! During our visit it was 109F every day. People die on the trails every summer by not being prepared. So I’m pretty sure that is hot! Even after 10 years in India I never felt that type of heat! I can’t believe I’ve never been to the Grand Canyon! I really want to go so I need to just do it. These are great tips because I know I wouldn’t visit during the colder months. I’m looking forward to doing a tour and spending some time here. Do it Mia! It’s so worth it, even in the heat! I’ve lived in the US for over a decade, and I have yet to see the Grand Canyon… Something needs to be done about that. As foe beating the heat, great tips about salty snacks (didn’t think of it) and a spray water bottle. Those little light spray bottles from the dollar store are perfect for this, or any hot day hike to be honest! Get yourself out to Arizona! So much amazingness to see. Beautiful shots, and good tips! My little girl seems to get overheated so quickly – we have had some luck with those handkerchiefs that stay cool for a longer amount of time, and wearing anything that you can get wet over and over. She’s been known to simply dump a bottle of water over her head at any given time! Oh yes I love those handkerchiefs! 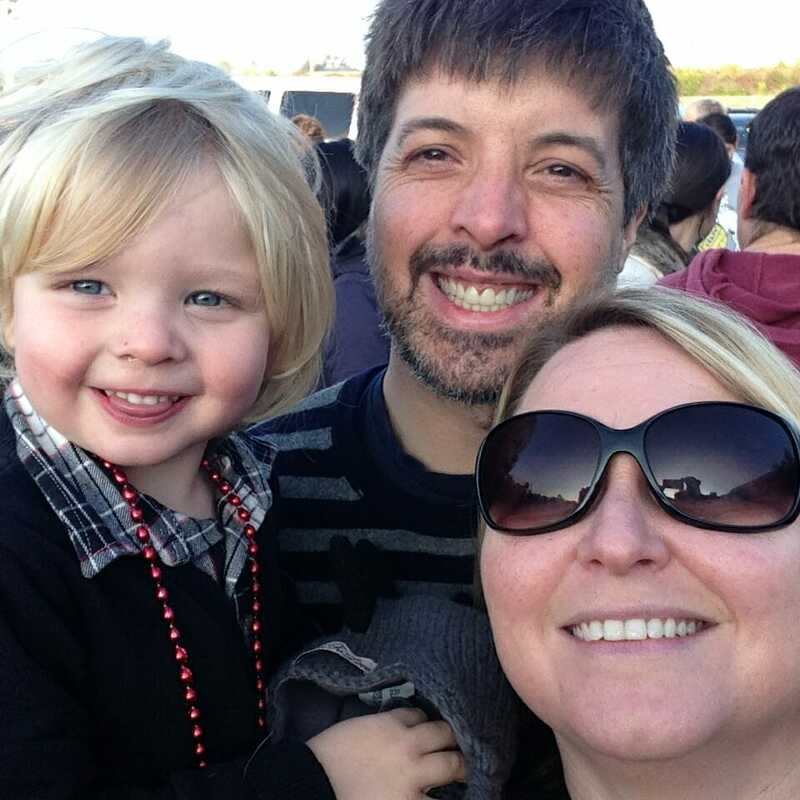 I just read today about a French family hiking in white sands New Mexico with their 9 yr old. Re parents died but amazingly the child survived. People don’t realize it can happen so quick! Cool tips about surviving the heat. I think this is applicable for any kind of place, even here in Taiwan is now suffocating heat. Well, I should just wake up earlier and go hiking in early morning, as you say. Thanks for the post! Yes and you also have to deal with extreme humidity which makes it even harder to get out and about! I don’t care about the heat unless I’m surrounded by such beauty!!! Actually, one great thing to drink at the end of a hike (or of any intense physical activity) is beer. It reintroduces salts and nutrients that the body loses and even hydrates. I always crave a beer at the end of a hard hike and I am convinced that cravings are ways my body is trying to tell me what it needs! 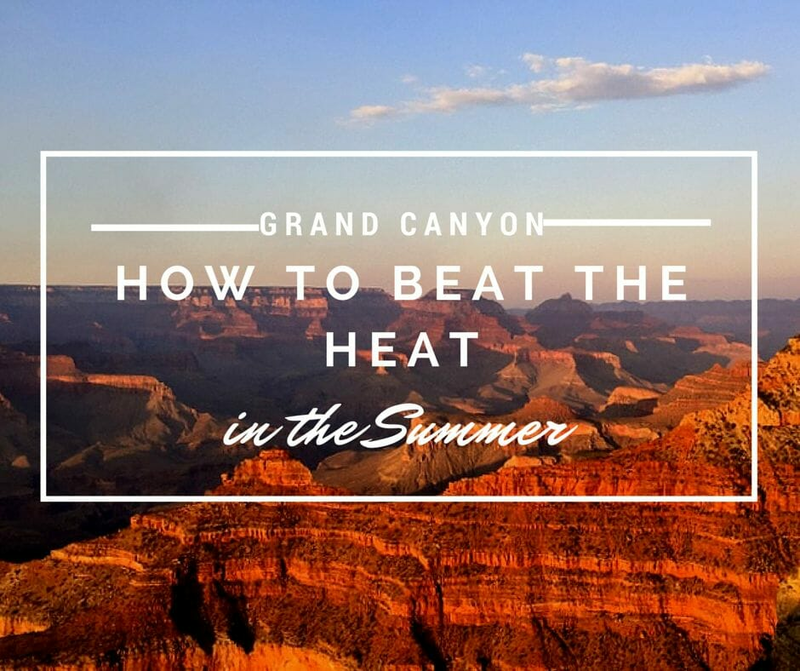 I don’t ever plan to visit the Grand Canyon in the heat of the summer, but these are great tips, in case I find myself doing just that. Great tips. However summer is pretty harsh in the Grand Canyon. I’ve tried it and I know. Nice list of all there is to do there. We took a day trip in late summer, and it was busy and hot. But we enjoyed a quick hike down (a fraction of the way and back) from the South Rim. I would love to hike all the way in to camp at the bottom some day. The visitors center was pretty cool, too, and the views all around are amazing, like you say. Yeah it’s nice to be able to go down a bit into the canyon. We also wish we had been able to go further. Next time! Don’t forget to make sure kids always have enough water in the heat. swiggies, wrist water bottles can be frozen to lower body temperature so they don’t overheat and also get plenty of ice cold water. They attach to their wrists, so they never lose them and mom doesn’t have to carry them.